A complaint filed under Title 30 by DCP&P against you can have serious implications. They can even seek custody of your child in some cases. The overarching theme of Title 30 is protecting your child’s best interests and ensuring your child’s health and safety. The DCPP defense lawyers at our law firm are ready and able to protect your rights, your future, your family, and your reputation if there has been a child abuse or neglect allegation. Our managing partner, Mr. Travis J. Tormey, is a top rated “10.0” perfect rating on AVVO.com, an attorney rating service. He has also received the clients choice awards in 2013, 2014, 2015, and 2016. In addition, one of our attorneys, Brent Dimarco, has handled a number of title 9 and title 30 complaints as a DCP&P defense lawyer. In fact, he used to work at two of the largest DCP&P defense firms in NJ before joining our firm in 2018 to run the DCP&P defense department. Contact our offices anytime for immediate assistance at (908)-356-6900. The initial consultation is always provided free of charge. Our Passaic County DCP&P lawyers represent clients in Paterson, North Haledon, Wayne, Clifton, and Totowa. FAQ: Can DCP&P take my child even if I have not perpetrated child abuse or neglect? Yes. The Division can seek custody of your child when there are child welfare concerns and if taking custody is in your child’s best interests. The Division of Child Protection and Permanency can become involved with your family even if there is no child abuse or neglect. If DCP&P determines there are child welfare concerns regarding your family, the Division may ask you to attend services, for example substance abuse treatment, or go as far as filing a complaint against you seeking custody and/or care and supervision of your child under New Jersey’s Title 30. Whether the Division is only requesting that you attend services or if DCP&P has filed a Title 30 complaint against you, you should contact an experienced DCP&P lawyer to discuss your case. Usually, DCP&P will attempt to provide a family with services before going to court under Title 30 in order to afford the family an opportunity to remediate problematic issues without the court’s involvement. However, Title 30 sets forth four separate situations in which the court can grant the Division’s request for custody and/or care and supervision of a child when there is no child abuse or neglect. The overarching theme is protecting your child’s best interests and ensuring your child’s health and safety. The first justification for obtaining custody and/or care and supervision under Title 30 is if the parent is unfit to be entrusted with the child’s care and education. Lack of parental fitness is a broad category that could result from intentional or unintentional acts. For example, a parent with a substance use problem may not be recklessly placing a child at risk of harm, but courts may determine that the parent’s intentional action of using substances is impeding the parent’s ability to be entrusted with ensuring their child’s health and safety. Accordingly, the Division may seek custody and/or care and supervision while the parent attends substance abuse treatment. On the other hand, some parents are cognitively impaired and unable to adequately care for themselves, let alone their children. 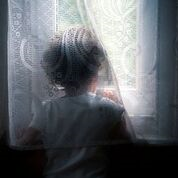 This does not mean that the cognitively limited parent abused or neglected their child but the child needs to receive safe and appropriate care and the courts may grant the Division custody in such a situation. The second scenario in which DCP&P may obtain custody and/or care and supervision where there is no child abuse or neglect is if the parent fails to provide proper protection, maintenance and education. Put differently, poverty is not abuse or neglect, but children have a right to live in a safe and appropriate environment. If a parent, through no fault of his or her own, is failing to provide a safe home and education, DCP&P may obtain care and supervision of the child to assist the parent with providing appropriate care. In more severe cases, even if there are no reckless circumstances, the Division may obtain custody of a child when the parent is failing to provide a proper home for their child. For example, homelessness is not abuse or neglect, but children have a right to reside in a safe and stable environment while the parent attempts to resolve their housing issues. The third and fourth categories are more general, catch-all situations: if a parent fails to ensure the child’s health and safety or is endangering the child’s welfare, the courts may grant DCP&P custody of the child. In both situations, however, the Division must be able to point to a particular set of facts that is endangering the child’s welfare. For example, a parent may have a mental health diagnosis that makes daily living complicated and if symptoms of the mental health diagnosis are manifesting or medication regimens are no longer effective, the Division may seek custody to protect the child while the parent addresses their mental health issues. If DCP&P files a Title 30 complaint against you seeking custody and/or care and supervision of your child, you should consult with a DCP&P defense attorney who is familiar with Title 30 proceedings. Whether the Division is only requesting that you attend services while your children remain in your home or if DCP&P has filed a Title 30 complaint for custody of your children, every proceeding will impact whether or not you get your children back and you should contact an experienced DYFS defense lawyer to discuss your case. Our attorneys are available immediately to assist you at (908)-356-6900.